Grieving Ogun Varsity Students Vent Anger, Attack Company of Truck Which Killed Eleven of Their Colleagues. Grieving Ogun Varsity Students Vent Anger, Attack Company of Truck Involved in Accident That Killed... Read more..
Start Fighting Corruption, Stop Giving Lame Excuses, PDP Tells Buhari. Start Fighting Corruption, Stop Giving Lame Excuses, PDP Tells Buhari The Peoples Democratic Party... Read more..
Ogun Commiserates With Olabisi Onabanjo University Management, Bereaved Families . Ogun Commiserates With Olabisi Onabanjo University Management, Bereaved Families By AfricanOutlook... Read more..
Buhari’s First 30 Days: Slow, Steady, Serious. 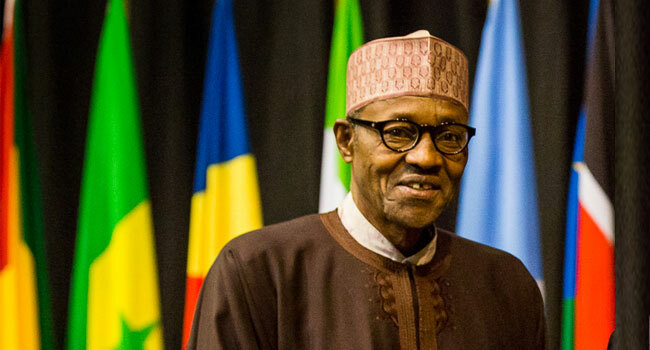 Buhari’s First 30 Days: Slow, Steady, Serious To the consternation of political associates,... Read more.. Cleaning PDP’s Mess Requires Painstaking Planning – Presidency. Cleaning PDP’s Mess Requires Painstaking Planning – Presidency The Presidency on Sunday... Read more..
Eleven Ogun Undergraduates, One Other Killed in Ghastly Auto Crash. Eleven Ogun Undergraduates, One Other Killed in Ghastly Auto Crash By AfricanOutlook Reporter Eleven... Read more.. Hundreds of grieving Olabisi Onabanjo University, (OOU), Ago-Iwoye, students on Monday took out their frustration in an attack on the premises of a plastic manufacturing company (name withheld), the suspected owners of the raw materials being conveyed by the truck, which caused Friday's accident in which eleven of their colleagues died. The Ogun State Governor Senator Ibikunle Amosun has commiserated with the Management, Staff and Students of Olabisi Onabanjo University Ago-Iwoye, over the tragic loss of 12 students of the Institution in a ghastly motor accident that occurred last Friday along the stretch of Lagos/Benin Express way near Sagamu end. The Peoples Democratic Party (PDP) has told the Presidency led by President Muhammadu Buhari to stop giving lame excuses and start delivering on its promises to end corruption in Nigeria. To the consternation of political associates, the sign of activity, as reflected by appointments and dismissals, have not been seen in the new administration. But that does not mean that the administration has been short of constructive engagements. It has undoubtedly been an anti-climax for those Nigerians who had been roused by the idea that the first month of the new Muhammadu Buhari administration would be a re-enactment of the action-packed first 30 days of his first advent as a military dictator. Medikamente günstiger aus der Apotheke cialis bestellen in der apotheke ohne rezept. Copyright © 2016 African Outlook Online. All Rights Reserved.